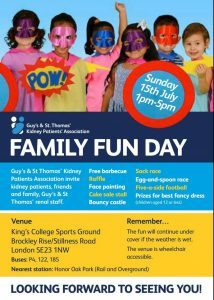 Guy’s & St Thomas’ Kidney Patients’ Association invite kidney patients and their friends and family to a family fun day (including a FREE BBQ) on Sunday 15th July, commencing at 1pm. Events include a sack race, egg & spoon race, five aside football, face painting and a bouncy castle. 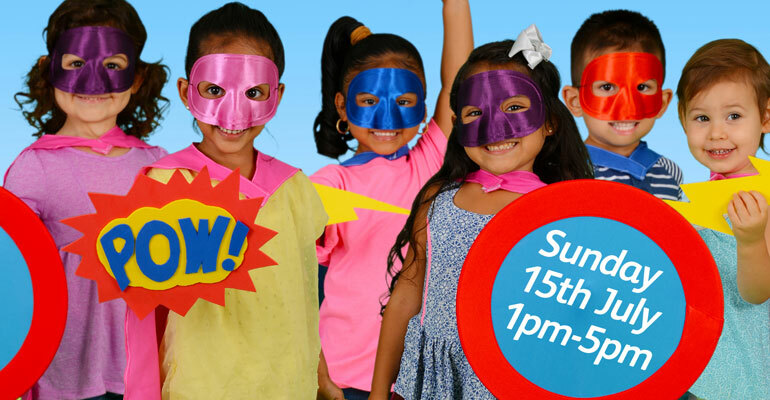 There will be a raffle and a prize for the best fancy dress for children under 12 years old. The fun will continue under cover if the weather is wet. The venue is wheelchair accessible. GSTTKPA aims to support kidney patients and kidney research at Guy's and St Thomas' Hospital and the Evelina London Children’s Hospital.